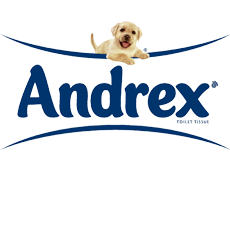 Andrex launched in 1942 and are now one of the UK's most recognisable brands. 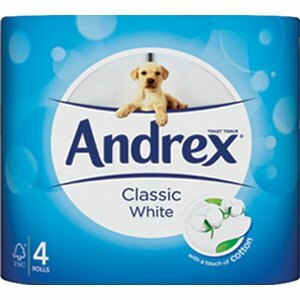 Andrex became a market leader in 1961 when Hollywood film stars demanded the softest toilet tissues on set. Treat your workforce to the same high quality toilet tissue, with both the Quilted and Classic variants of Andrex available. Get your Andrex toilet paper from Zepbrook tomorrow: order before 5pm if you're in London (or the M25 area). Do you need toilet paper that is not currently listed on our website? Contact us - we can source and deliver many other products for a competitive price. Call us now on 020 8752 0110 or enquire online. 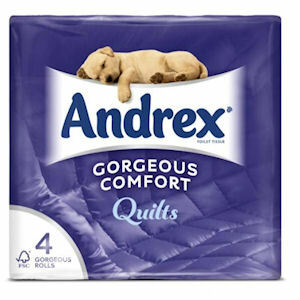 Andrex® Gorgeous Comfort is made up of plush layers of tissue to give the deep cushioned softness of Quilts. 240 Sheets per roll. This original ANDREX® toilet tissue is the perfect balance of softness, strength and length. 240 Sheets per roll. Now in a smaller pack of 24 rolls.